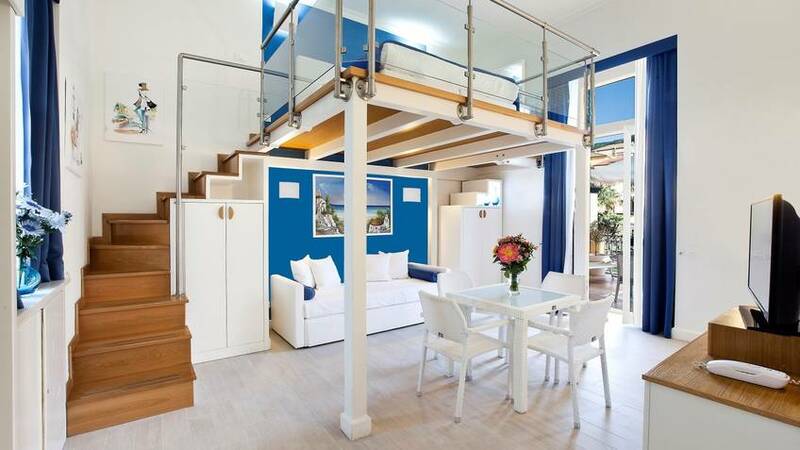 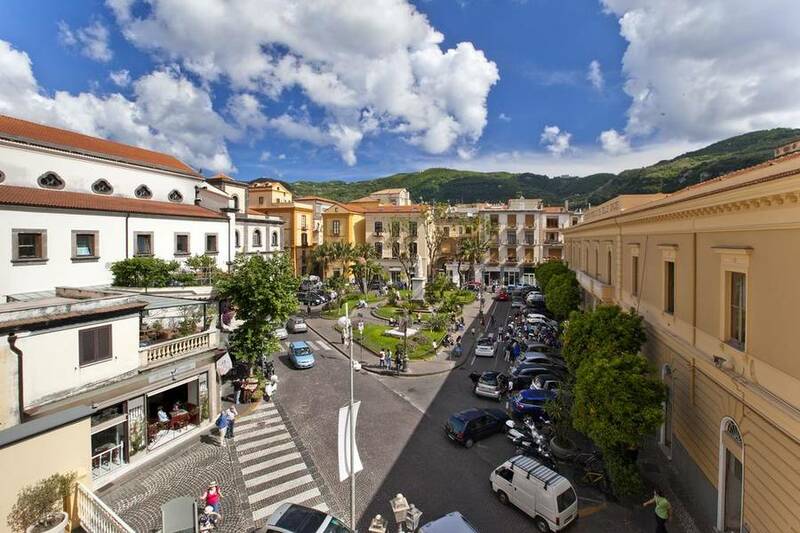 Is it better to book a room or an entire apartment for your stay in Sorrento, Italy? 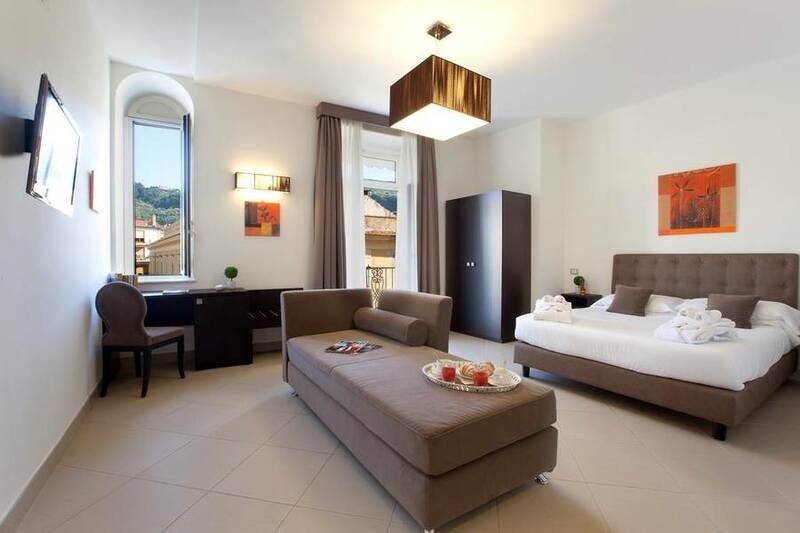 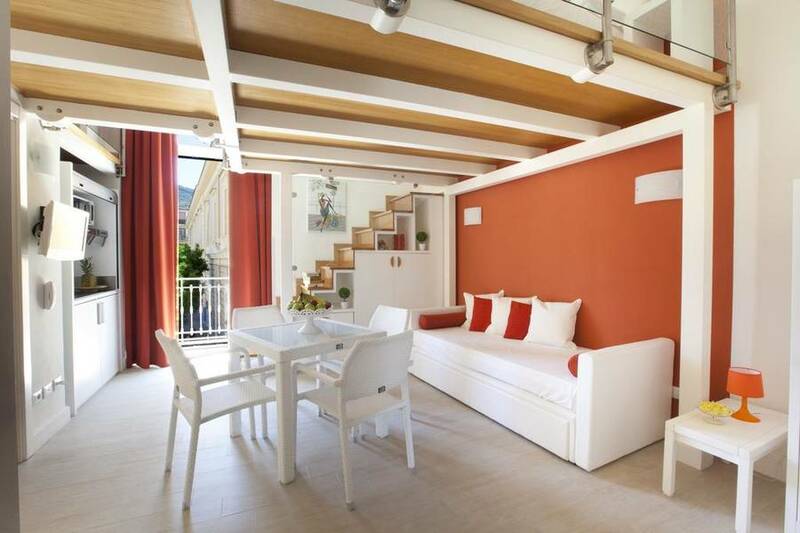 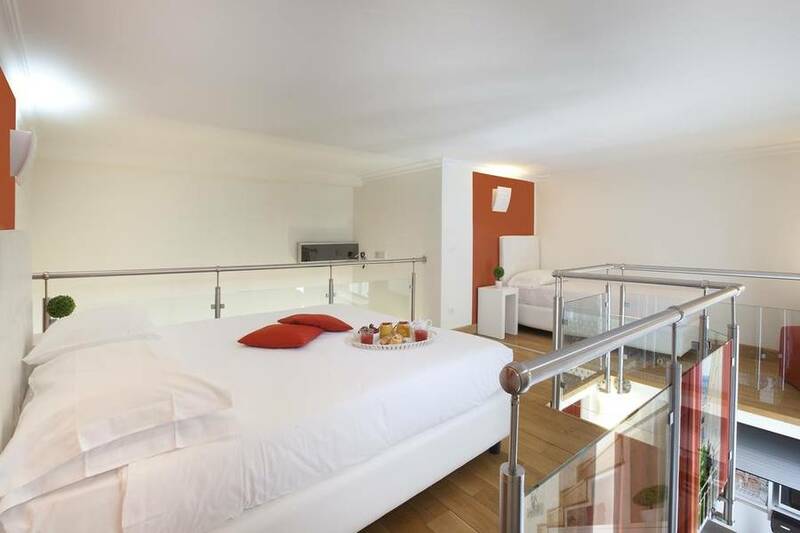 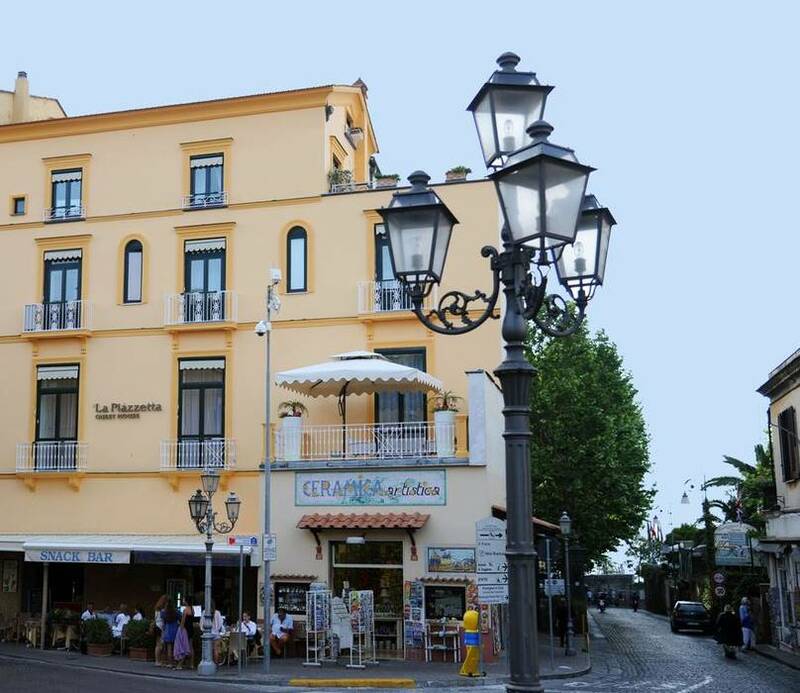 Regardless of your travel style, La Piazzetta Guest House has the perfect solution for you: comfortable rooms and self-catering apartments with all you need to experience Sorrento right in the heart of the historic center with all the space you need to spread out. 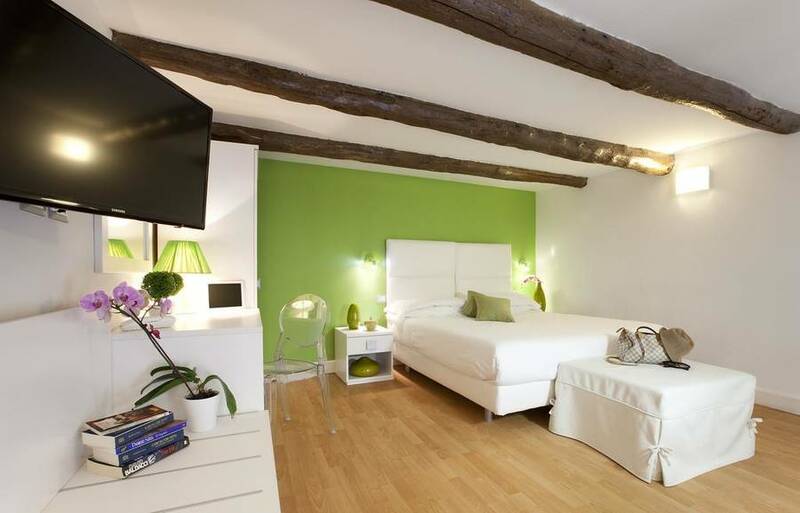 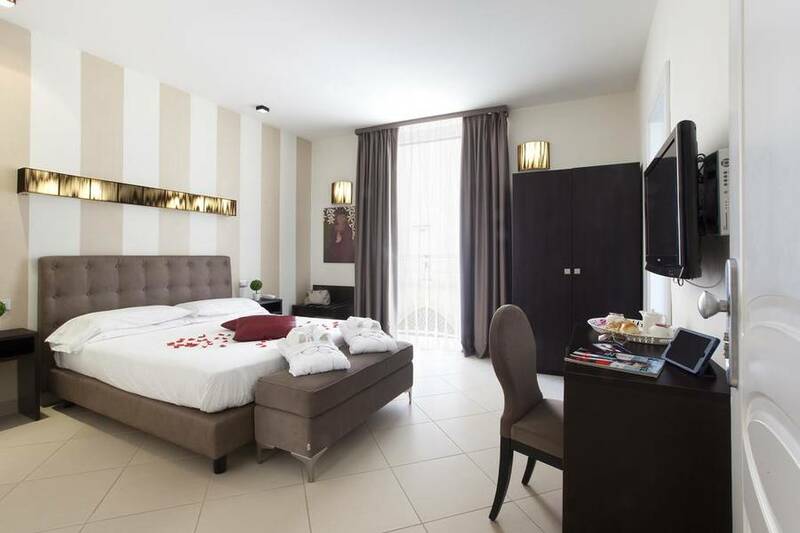 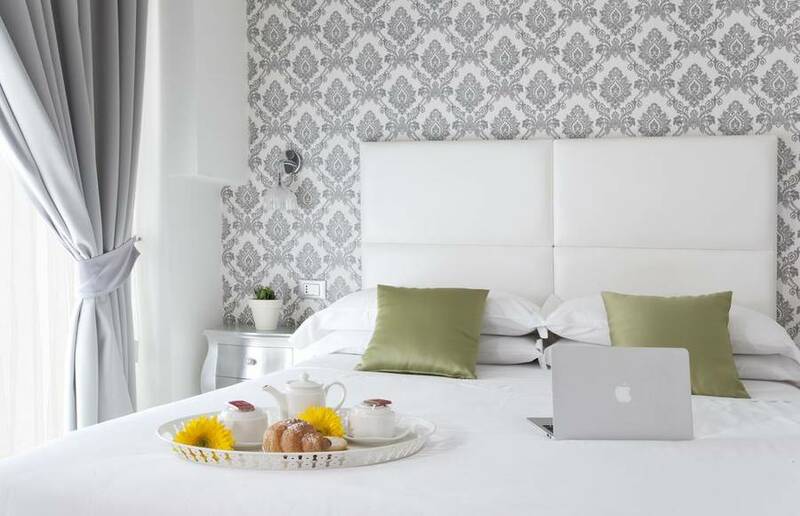 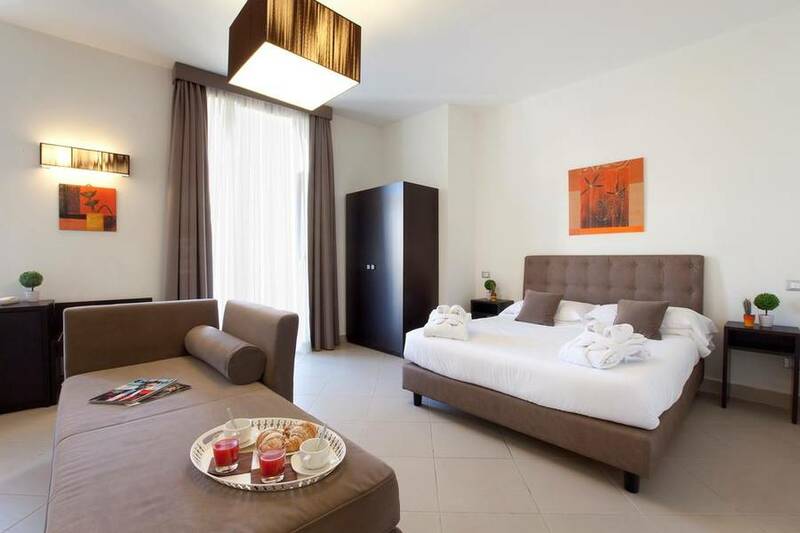 Modern decor and impeccable, airy rooms: you'll immediately feel right at home at La Piazzetta Guest House's guest rooms. 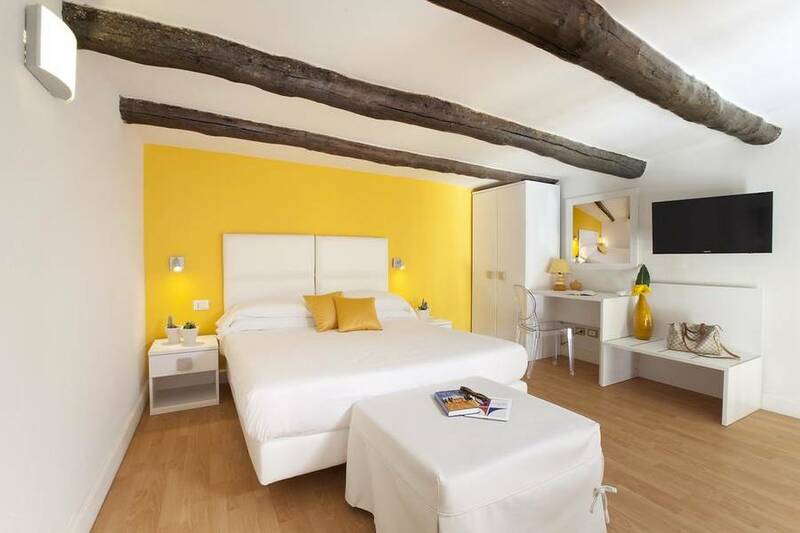 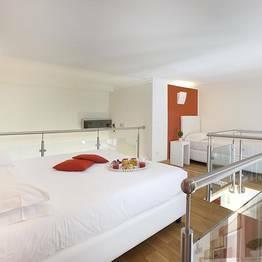 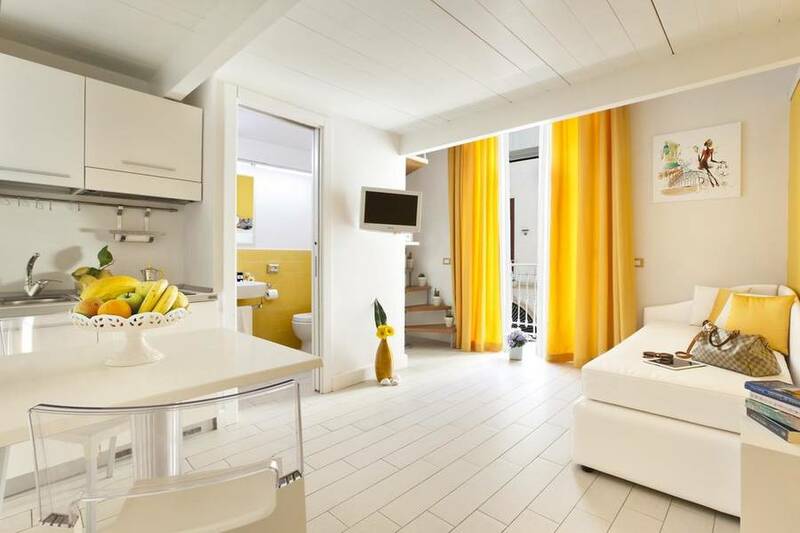 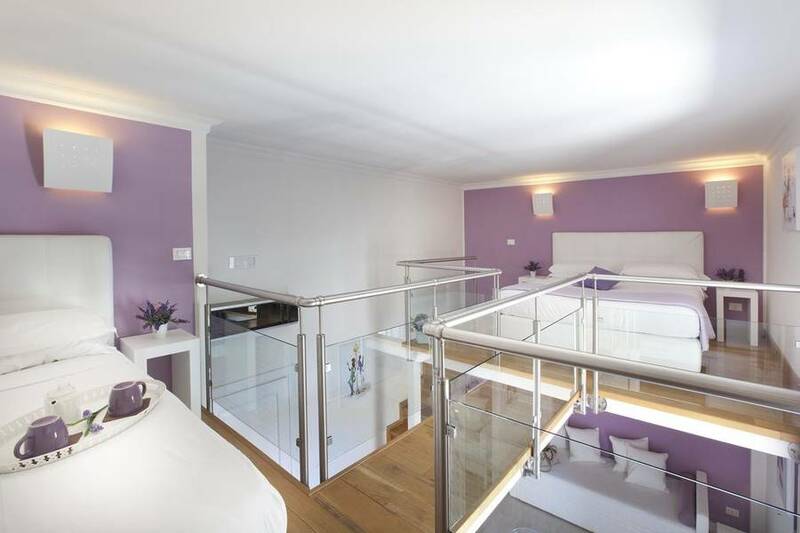 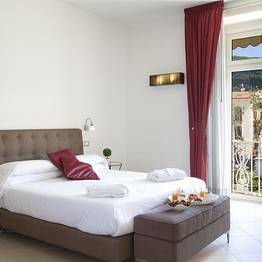 All rooms include a full range of amenities, including bath products, wifi, Sky channels, and breakfast, and face into the inner courtyard or outside the palazzo...the balcony of the Deluxe Room opens onto the bustling Piazza Sant'Antonino. 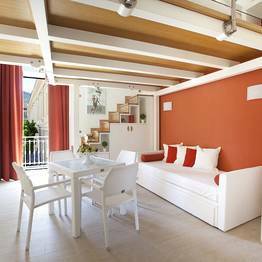 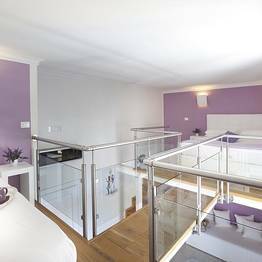 The vacation apartments in La Piazzetta Guest House come in different sizes and layouts, but share a welcoming and hospitable atmosphere. 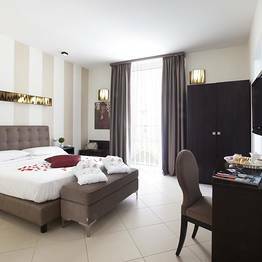 Ideal for hosting four guests, each apartment has a complete kitchenette, Italian personal products, linens, wifi, and Sky channels. 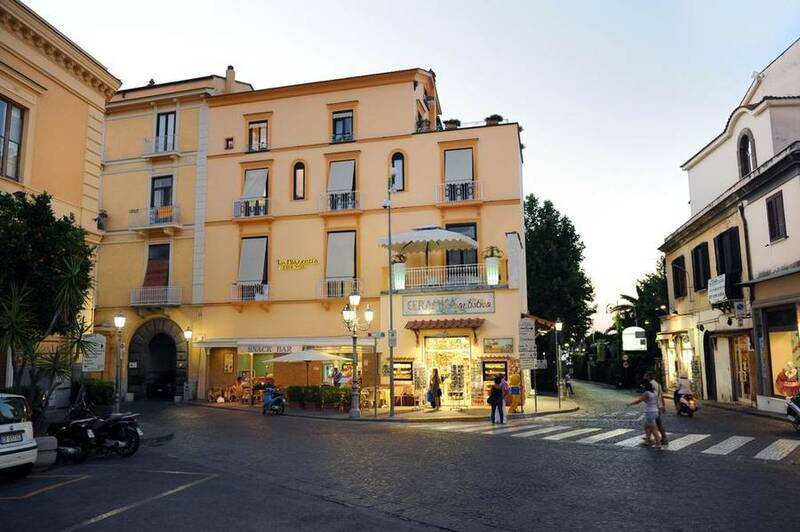 Some apartments are on two floors and look out over the piazza, and one has a large terrace furnished with a dining set. 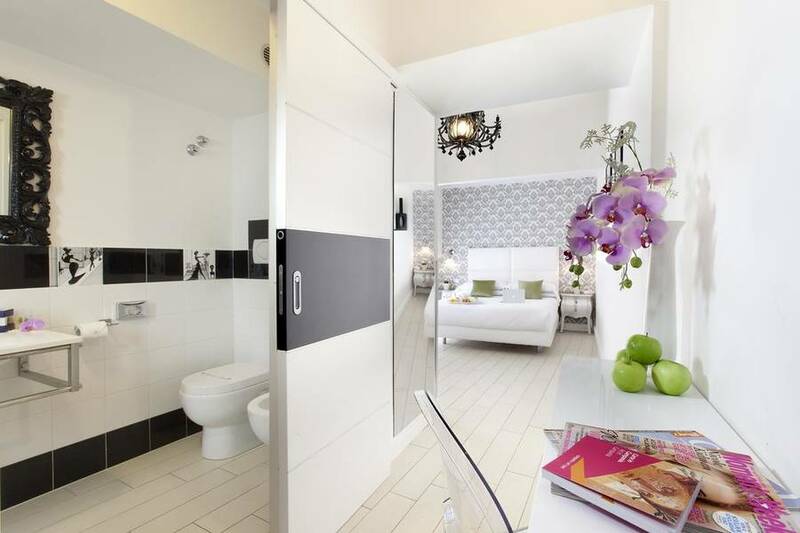 All the apartments boast a massage shower in the bathroom: unwind each day! 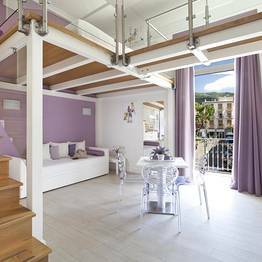 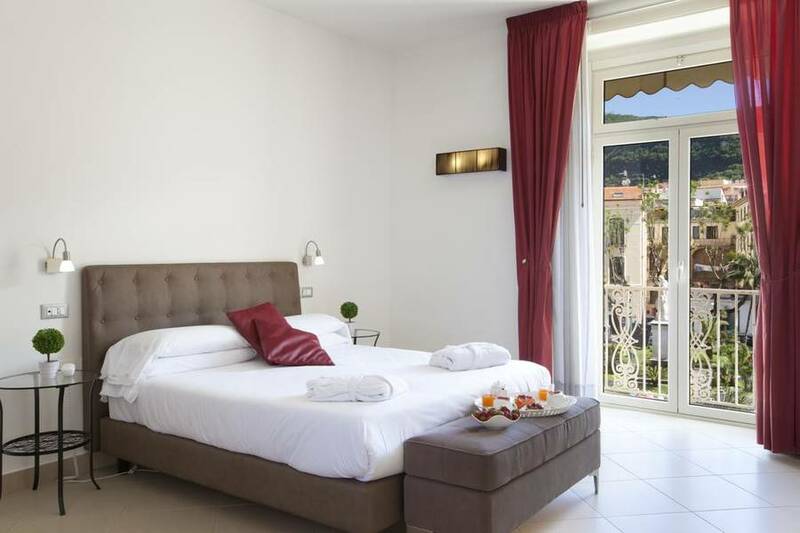 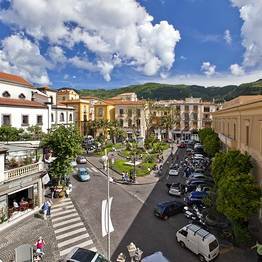 The Piazzetta Guest House is right in the heart of the historic center of Sorrento in Piazza Sant'Antonino, halfway between the town's two beaches. 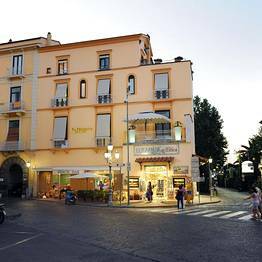 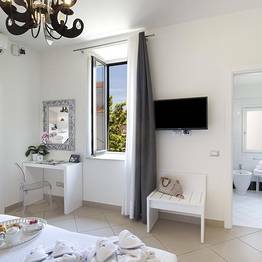 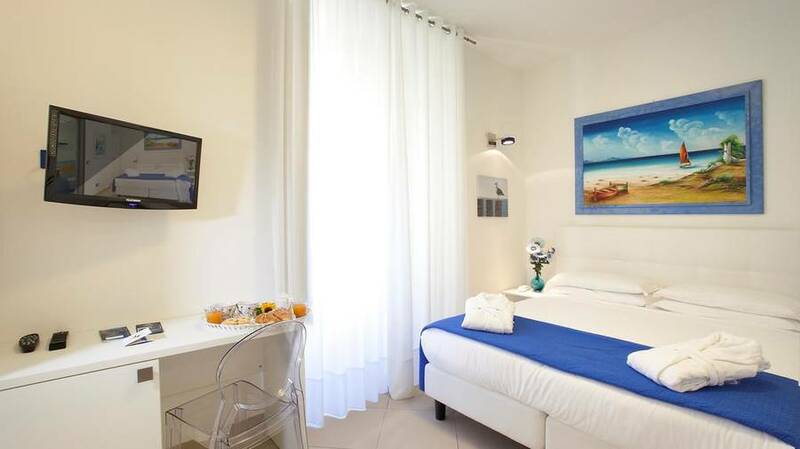 Guests can reach the beach by taking the elevator located in the nearby Villa Comunale, and the pretty streets lines with shops and restaurants surround the hotel. 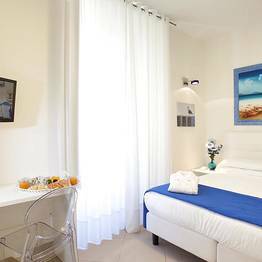 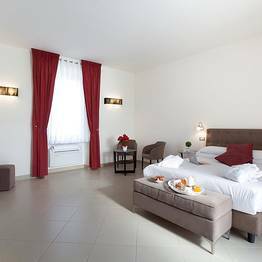 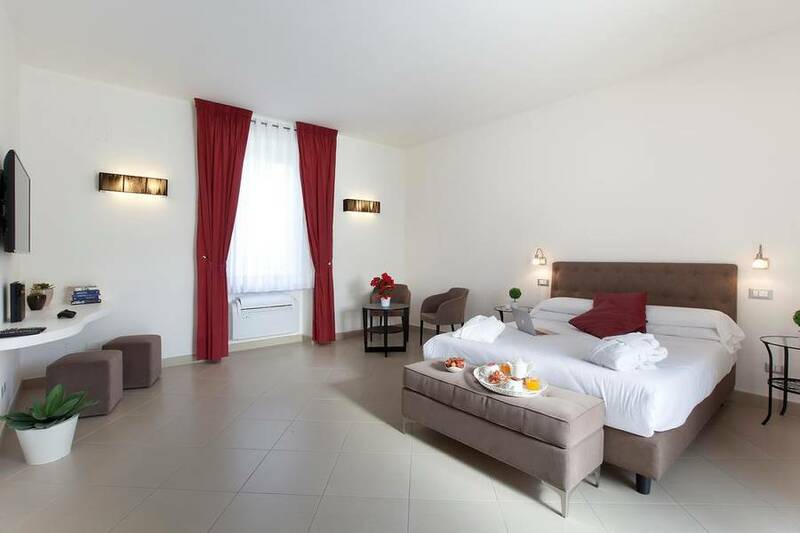 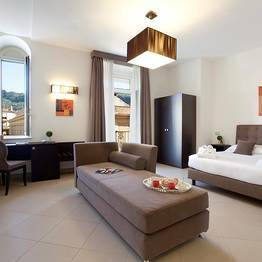 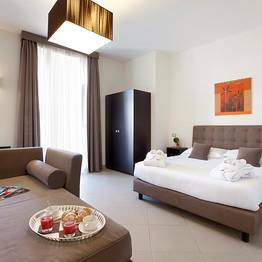 La Piazzetta as also near the Circumvesuviana train station, and there is a public parking lot 600 meters away which offers special rates to guests. 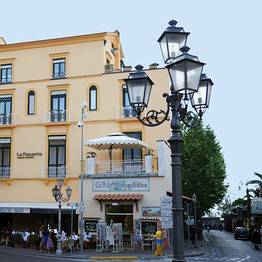 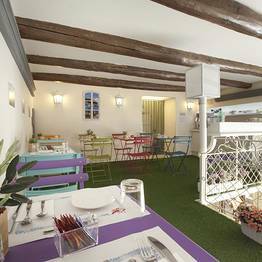 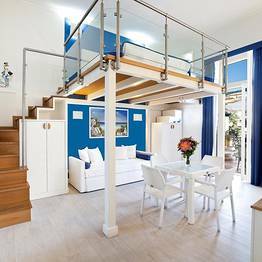 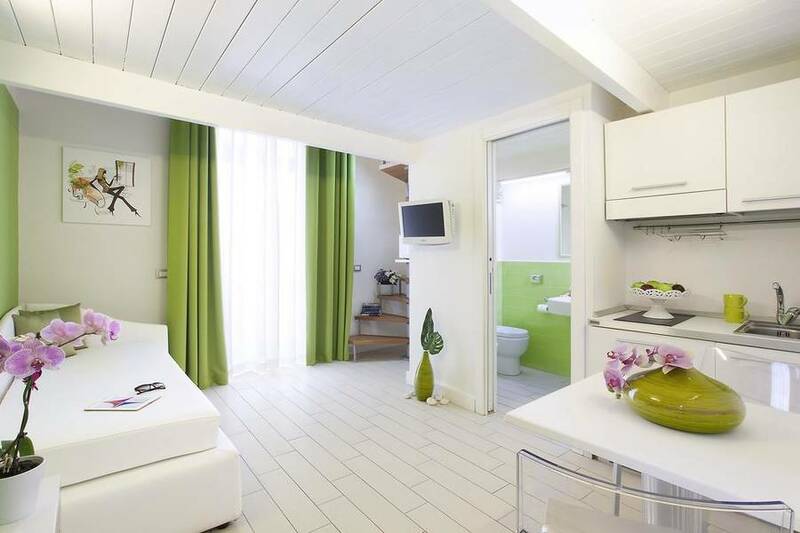 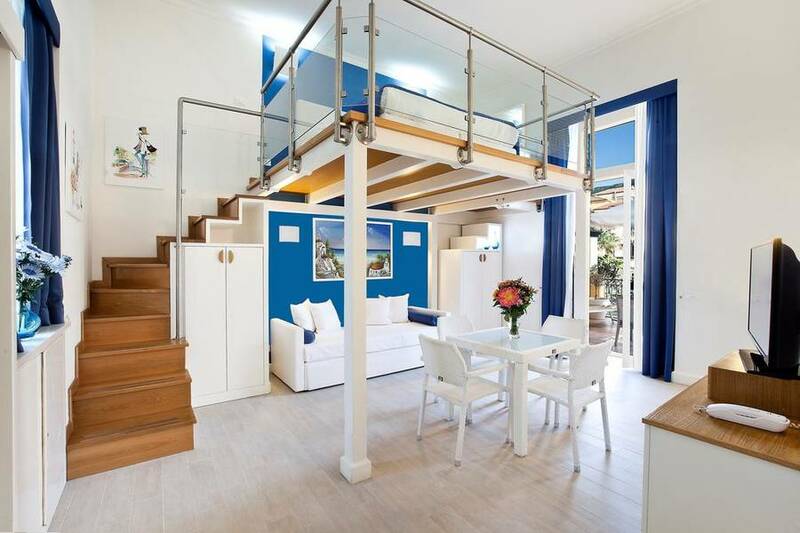 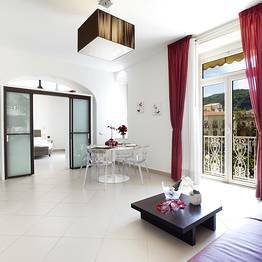 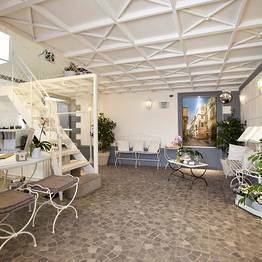 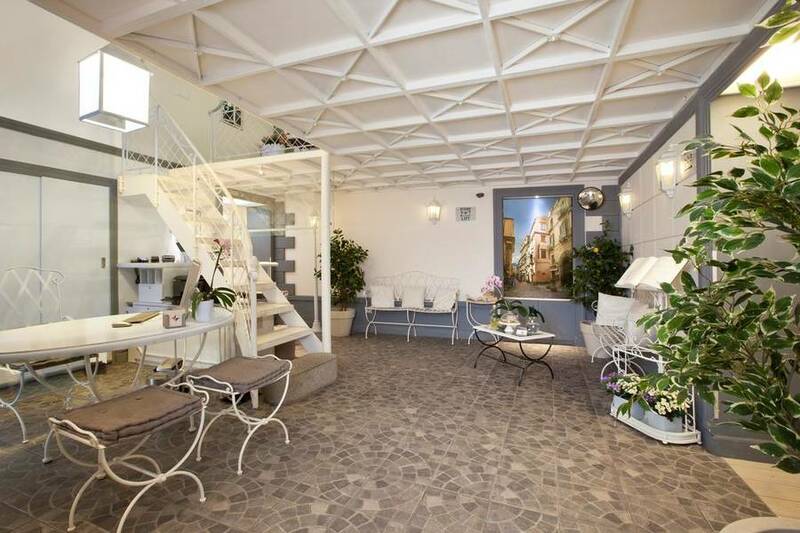 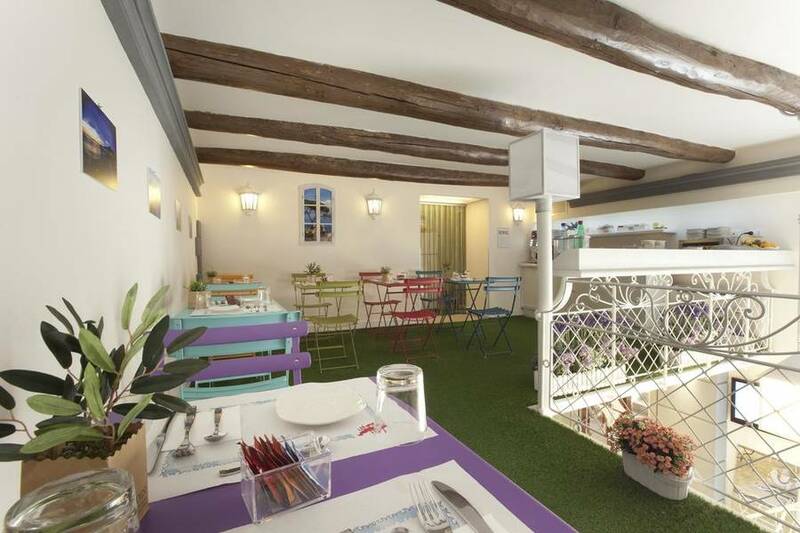 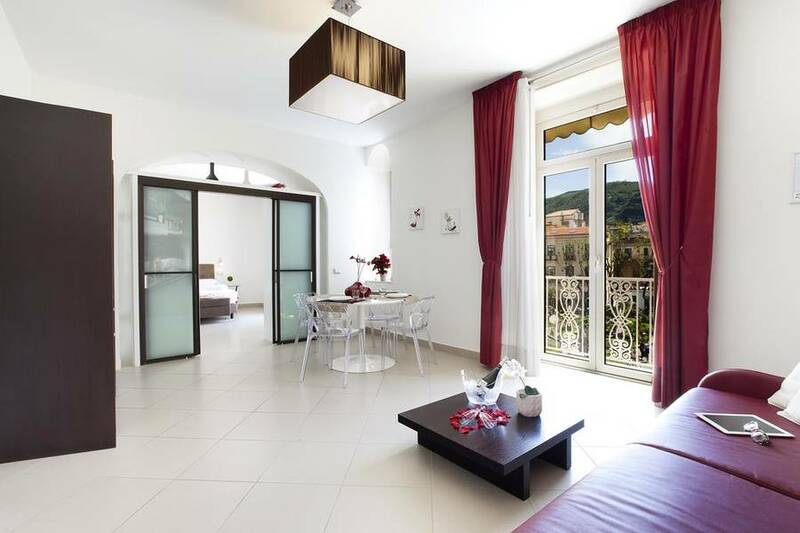 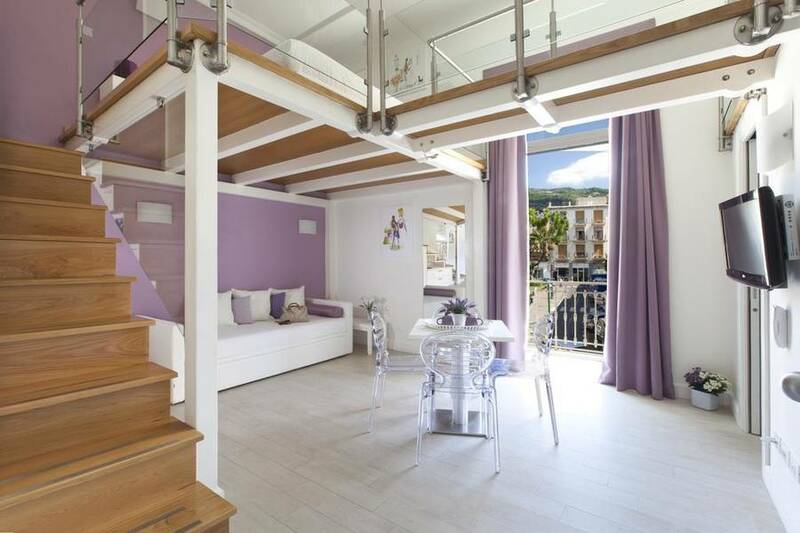 Book La Piazzetta Guest House on SorrentoInsider now with no additional booking fees.